Unlock your perfect villa holiday at the luxurious Villa Sahane. Unlock your perfect villa holiday at the luxurious Villa Sahane, one of the nicest rental properties we have in Kalkan. 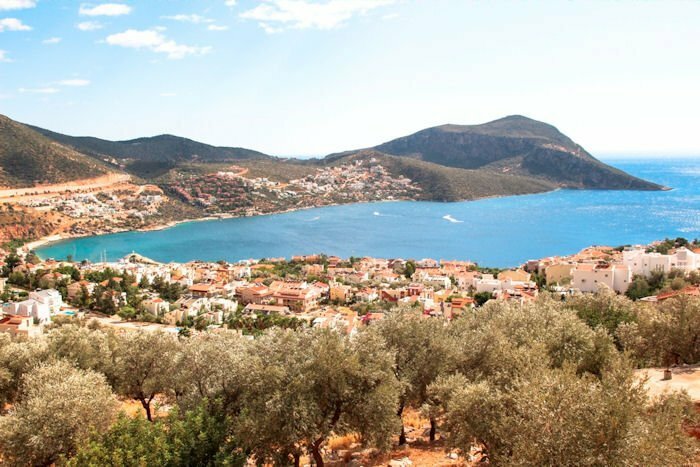 Ideally located in the Ortaalan area of Kalkan, which is an easy five minutes walking distance to shops, restaurants, the sea and beaches, Villa Serene has amazing seaviews and its perfect families, group of friends and honeymoon couples. The Villa is south facing so you can enjoy the sunshine all day long by the pool terrace area. There are five bedrooms here which all are fully air-condioned and all feature their own luxury en-suites. The Villa Serene also has a magnificent large size infinity swimming pool which has wonderful sea views and island views, probably the best location in the area. Villa Sahane is situated next to the Villa Kalkan Sahane so the two villas would be ideal for a large party of up to 19 guests who wants to holiday together.